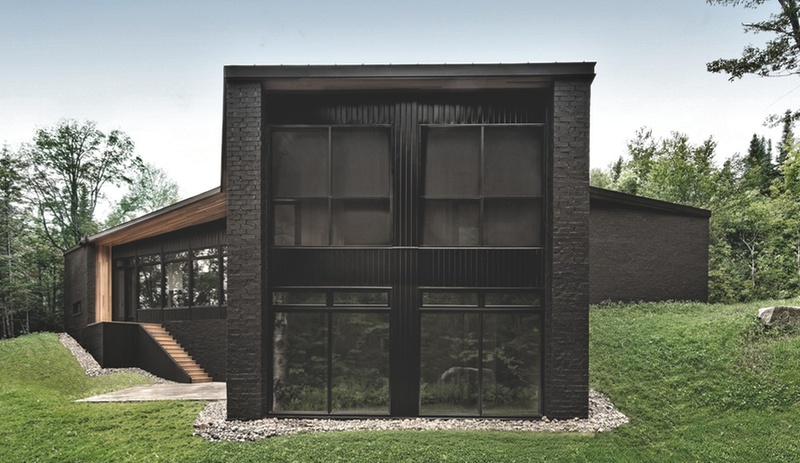 L'Écran House in Quebec's Laurentian Mountains, by architect Alain Carle, features a somber black-painted brick facade. 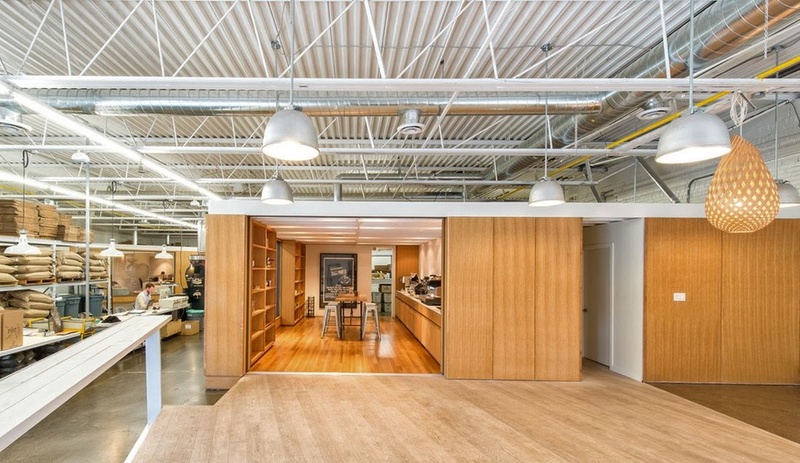 The Pilot Roastery, a combination warehouse, café and administrative office, was designed by Toronto's Williamson Chong Architects to accommodate multiple functions. 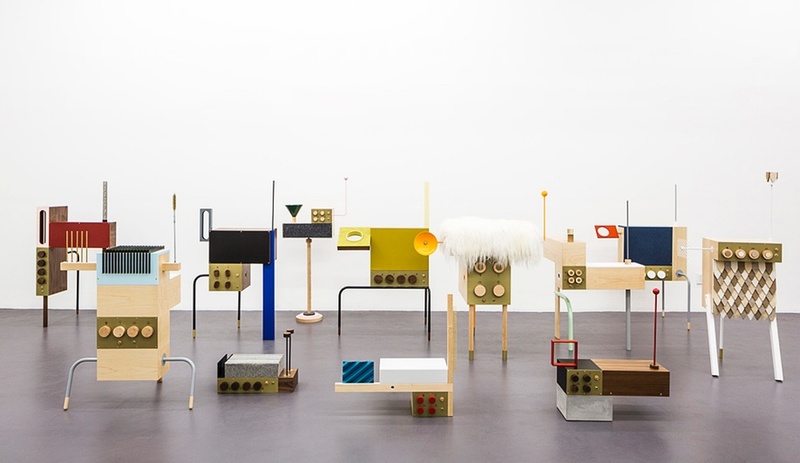 Odd Harmonics is a collection of theremins rich in personality, designed by François Chambard, one of New York's rising talents. 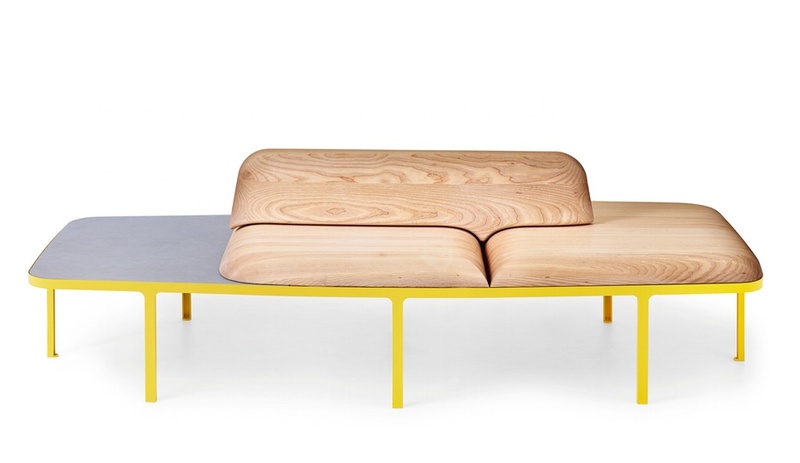 Nola's Plymå bench – made from ash, limestone and steel – was a standout at the Stockholm Furniture Fair. 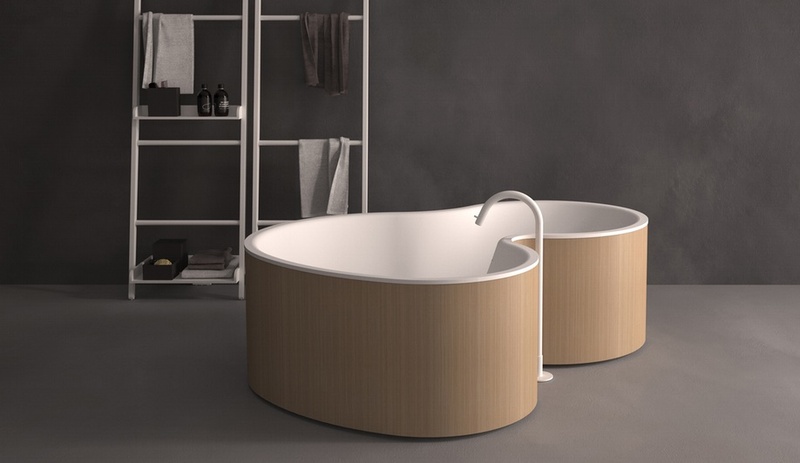 Among the bathroom fixures and hardware in this issue is this curvy soaker for two, designed by Marcio Kogan for Agape. 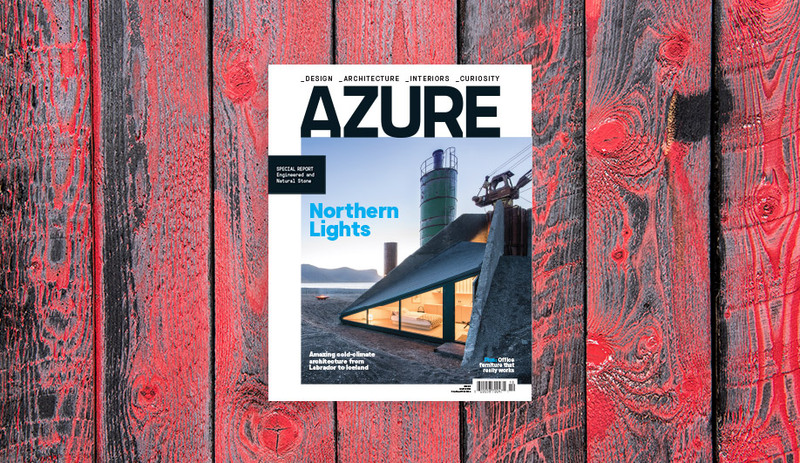 The latest issue of Azure – recently nominated for three National Magazine Awards, including Magazine of the Year – goes inside Alain Carle’s stunning home in Quebec, and showcases unconventional work spaces that break out of the traditional box. We’ve been hard at work at the Azure offices, scouring the planet for the latest and greatest architecture and design to present in the most enjoyable way possible. 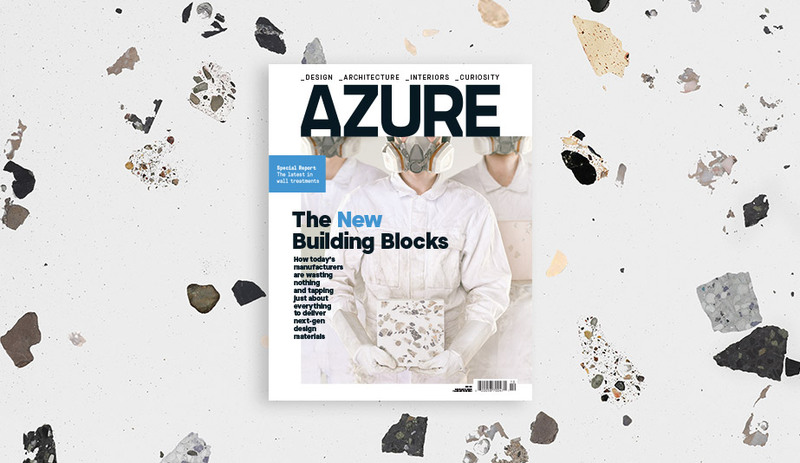 So we were honoured last week to learn that Azure has been nominated for three National Magazine Awards, including Creative Photography, Best Single Issue and – the big one – Magazine of the Year. We’ll have our fingers crossed until the winners are revealed on June 6th. You can see the results of all our effort in the June issue, now on newsstands. It takes a look at how flexible office spaces are responding to the changing ways we work. We take a look inside the Toronto headquarters of Steelcase, designed by local firm Superkül, with a sci-fi aesthetic that takes full advantage of towering windows. Across town, Williamson Chong Architect’s interior for the Pilot Roastery delivers a multi-use space that combines a coffee tasting bar, administrative spaces, and a warehouse for storing sacks of beans. And in London’s Pullman Hotel, Matthieu Lehanneur advances a concept for a more humane conference room, complete with views of nature. We also visit Alain Carle’s L’Écran House in Quebec’s Laurentian Mountains – a dramatic beauty whose black-painted brick walls wind along a backdrop of trees. And we talk to the founders of Lateral Office, the firm behind Canada’s Arctic-focused entry at this year’s Venice Biennale of Architecture. In New York, we spotlight four rising design firms to watch during NYCxDesign. In products, we’ve rounded up the best launches from the Stockholm Furniture Fair, wheeled seating and storage options for shaking up office environments, and fixtures and hardware to transform the bathroom into everyone’s favourite room in the house.